Fat Brain Toys Tobbles Neo features bright and cheerful colors, the physics of motion and the addition of more tactile play! Made with a unique grippable texture with soft, playful curves that enliven tactile experiences. 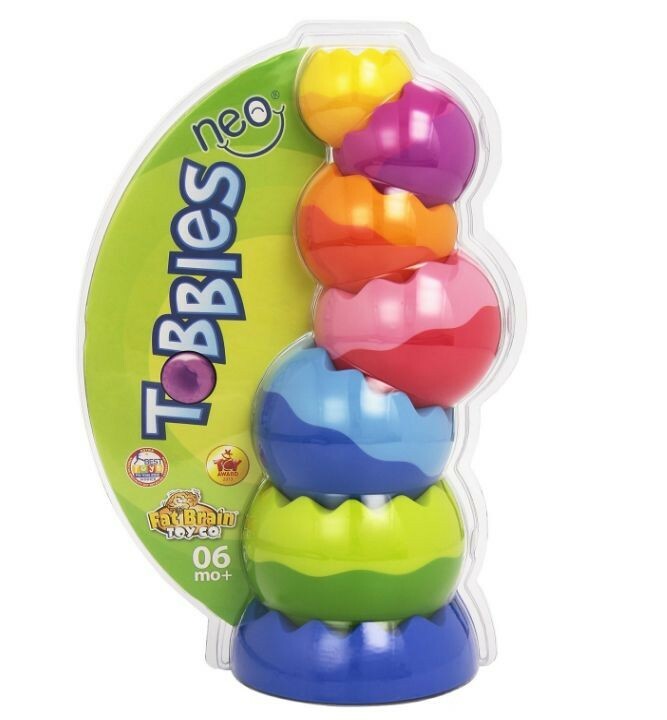 Six uniquely weighted pieces balance, neatly nest, and stack in ways that young minds can revel in- stacking, toppling, and discovering play in this way. 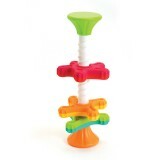 Little hands just can’t get enough of the stacking, toppling, spinning, balancing, wobbling, tilting, and wiggling! Another welcome invitation to timeless play from Fat Brain Toys! Includes: 6 weighted spheres, and a stacking base.